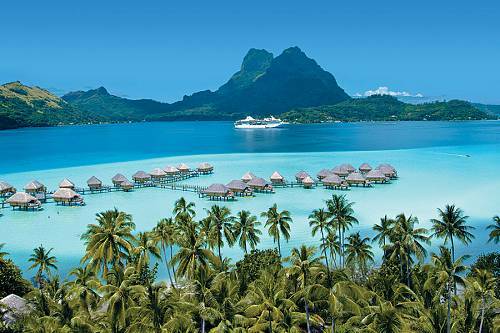 Tahiti and the French Polynesia are a breeze of luxurious tranquility; a dip into island paradise. 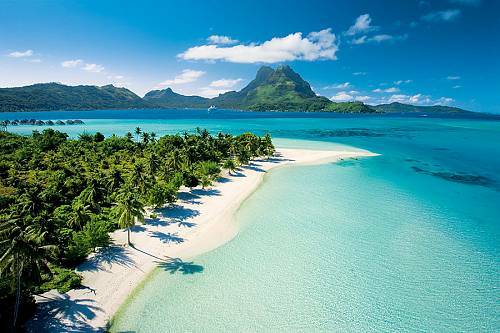 Tahiti and its famous sister islands which include Moorea, Manihi, and Bora Bora, offer waves of romance and tropical relaxation. 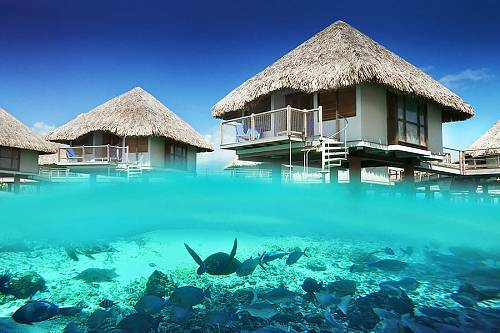 Order room service to your over-water bungalow, exhale on your in-water massage table, or plunge under water to swim with schools of colorful fish darting in and out of the coral reef. 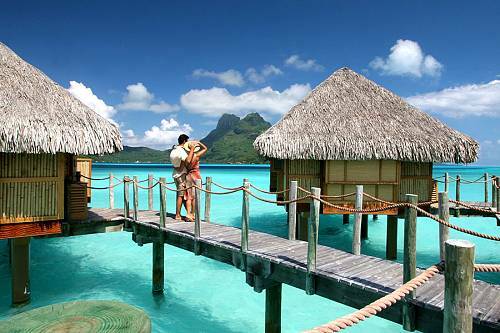 Imagine waking up in your over-water bungalows looking out to volcanic peaks, turquoise waters and white beaches. 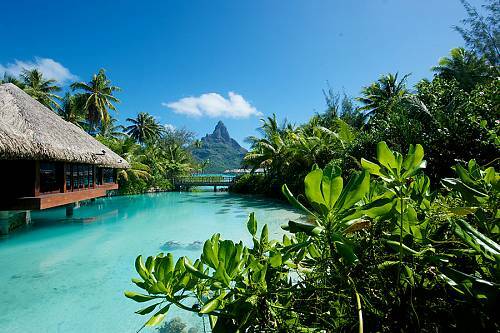 You will be ready to relax, recharge, get pampered or celebrate any special occasion in Tahiti. 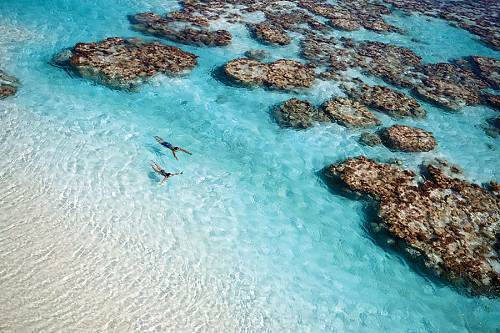 The French Polynesia is perfect for couples seeking an exotic getaway. 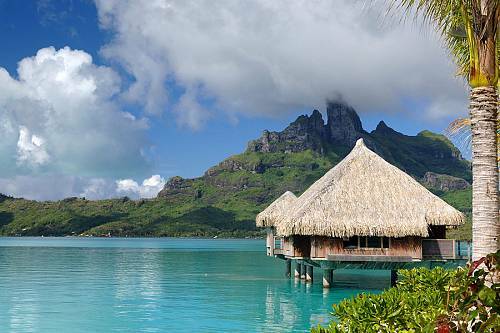 If you’ve dreamt of letting the sea sounds lull you to sleep in an over-water bungalow, Tahiti and the French Polynesian is the ideal location for you. The islands are also great for divers and snorkelers. The warm, clear water are teeming with vibrant marine life; you can paddle after Nemo or even swim with sharks! After your day of swimming with the fishies, retreat back to your quiet resort, have a drink on your chaise lounge, and watch the sun set into the distance. 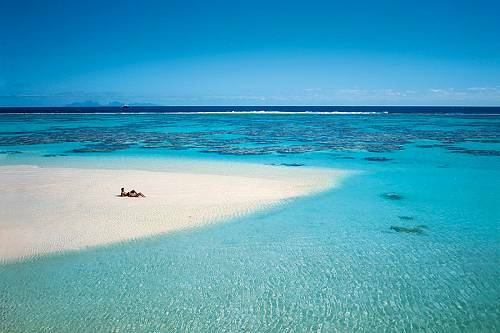 Down Under Endeavours can handcraft a Tahiti honeymoon designed around your wants, needs, timeframe, and budget. To get a taste of what’s possible, check out these sample itineraries. 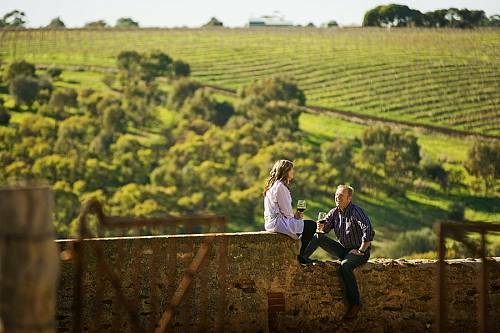 Have a look, see what catches your eye, then chat to the Down Under team to custom-create your itinerary. Occasionally, we offer traditional “package” vacations focused on a special event or a Tahiti honeymoon; those are exceptions, not the rule. The itinerary of your trip of your lifetime will be unique to you. Are you looking to venture to ultimate paradise? Give us a call today at (312) 951-8517 and let our luxury travel designers handcraft your dream trip to the French Polynesian.